Well. Here we are. The post that you have all been waiting for with baited breath... the final article in what I like to call the Winston Churchill 'saga'. It doesn't matter to me that its been a very short 'saga', of only 3 articles, it has been a saga. And, sadly, it is coming to an end. I have known that an article on my Winston was on the cards, but I always fell victim to something that I call the 'gym complex'. I sit down at my computer and tell myself that this is it, this is the article, but somewhere along the line I decide that 'I'll do it tomorrow'. take off my figurative trainers and eat a figurative ice cream. Well not today. Today, but some miracle of nature, I have galvanised myself to put on the trainers, walk out of the door, and actually go to the gym. 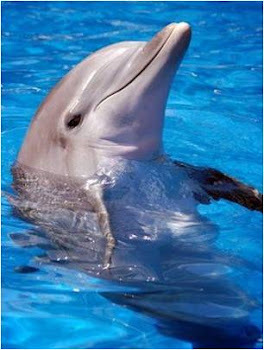 Let's not go mad here, I'm still speaking metaphorically. Okay, so actually doing anything has been delayed be some waffle and absolutely crazy metaphor that has left many people questioning my sanity (you're right to question), but here I am. The metaphorical Winston Churchill gym. I'll try to contain my emotions. I think it's probably a good idea to start with all the 'David Copperfield' stuff; when, where he was born, that kind of 'piffle', as Boris Johnson would undoubtedly call it. My wonderful Winston (the emotions are slipping out) was born at Blenheim Palace on the 30th November 1874, to Lord Randolph Churchill and the american heiress Jennie Jerome. Winston idolised his father who was an eminent politician when Winston was born (although that soon went to pot), and adored his mother, although his childhood was marked by an emotional neglect typical of the higher classed of the time, his parents rarely visiting him at school. As you may have guessed from his mannerisms, Churchill didn't quite go to your average state comprehensive, instead opting for the slightly more prestigious Harrow school. Now, similar to the majority of the worlds 'greats', Winston's time at Harrow was not marked with academic achievement and rather 'adventuring', as my book wonderfully words it, meaning, I assume, that he got all to all sorts. Due to this, his father pressed young Winston towards a military career, which was (in true Winston style) pursued with considerable vigour and commitment, his family ties serving useful in achieving him posting to active conflicts, which Winston much preferred to languishing in less troubled parts of India. In order to boost his income, Churchill took to writing as well as fighting, capitalising on each campaign in which he fought, especially during his escape from captivity in the Boer War (which is a whole other article entirely), his hero's welcome from this event propelling him to a seat in Parliament as the Conservative bloke from Oldham in 1900. Churchill came to politics like a quintessentially British duck to water, gaining his first ministerial post in 1905 through the liberal party, until he jumped ship and 1924 and he returned to the conservatives. But Churchill wasn't just noteworthy during his time as a war politician, oh no! His years within the Liberals were full of a series of reforms that formed the basis of the welfare state, and he was the subject of an incredible amount of controversy, never more so than at his appearance at the 'Siege of Sydney Street'. But, like all great men, Winston's career wasn't just a rapid ascent to glory. and in 1915 he was hounded from his post as First Lord of the Admiralty when his ambitious plan to capture the Dardanelles failed, as well as incurring many casualties. 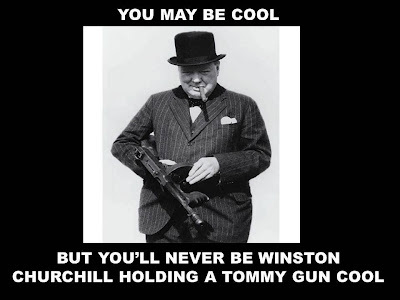 Churchil was a little bit miffed about this, and so returned to service in the army, reinforcing a reputation for bravery that formed a lot of how we see him today. However, just as the lure of History sometimes proves too much for me, the lure of politics proved too much for my Winston, and he returned to a ministerial career, becoming Chancellor of the Exchequer from 1924 to 1929, returning Britain to the Gold Standard, and working tirelessly for the rights of striking and poorly paid miners. However, the peaks and troughs of Churchill's life suffered another fall as in 1929 the Conservatives were beaten in the election, and subsequent Prime Ministers rejected Churchill for the next ten years. I won't bang on about Churchill as a war leader, simply because my emotions may bubble out of me and leave me as a sticky, bawly mess in front of my computer screen, for this is when Winston really came into his own. I pride myself on being open for the few teenagers who can instantly recognise the voice of Winston Churchill, and this is because his voice is simply so recognisable. Apart from changing the ways that war was fought, Winston was incredible for British morale, and he became wildly popular, as well as giving the British public a sense of hope. Despite this, a great wartime Prime Minister is rarely a good peacetime one, and Churchill was defeated in the July 1945 election. Despite this, Churchill was still a prominent political figure, and also wrote a great deal of Historical novels. During the Cold War, Churchill sounded the alarm bells that shook the world in his 'Iron Curtain', alerting the world to the dangers of communism. When Churchill was re-instated into power in 1951 at the ripe old age of 76, he continued to emphasise the threat of a nuclear war between the West and the Soviet Union. He was a strong advocate of 'jaw jaw' instead of 'war war', and also pushed for summit meetings to be held, although no such meetings were agreed to in his time as Prime Minister. My Winston continued to serve as a member of parliament until six months before his death at the age of 90, and Queen Elizabeth II gave him a state funeral after his death on the 24th January 1965. So there we are. the promised Winston article. It wasn't too crazed, was it? Love him or hate him, Winston Churchill really was an iconic worldwide figure, and redefined what it means to be British. So although you may not be quite like me, and cry 'Winston' every time he is mentioned, or do some weird kind of salute every time his voice is heard, I hope you appreciate a little more just what a great man My Winston truly was. Once again, thanks for sticking with this for this long! ...or so the saying goes, anyway. Yup, it's me back again with the promised second Winston-related article. I know, I know, you've been waiting so long that you doubted it would ever come. But fear not, for here we are with the promised article. Now, as people often declare after a long night of drinking 'we wouldn't get anything done in this world without women' (well, I say people, the majority being women), and often the more educated of them cite Clementine Churchill as an example of this. A few weeks ago, while at the ever-wonderful grandparents, we tuned in to a documentary focused on Winston and Clementine's relationship, and I have to say, I was pleasantly surprised by what I saw, and left with my love for Winston reinforced tenfold, with a special little place now dedicated to Clementine. You see, it's no great secret that Winston messed up quite a lot of stuff during, but especially before, his time in office. 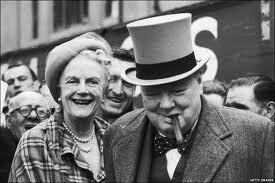 But during these times it was Clementine, his 'Cat' who he spoke to and found comfort from, and it was Clementine who advised him on top-secret and incredibly important government affairs, though I also like to think that they shared a good laugh at the expense of some of Churchill's rivals. The documentary itself featured an abundance of the letters between them, and I was honestly blown away by the relationship between them. In the letters, Winston seems affectionate and almost 'soft' - a far cry from the maverick hero he is known as, and Clementine seems very compassionate and doesn't show any sign of strain from quite literally having the world put onto her shoulders. To fully address her would be to get your lips around 'Baroness Clementine Ogilvy Spencer-Churchill', which is something I never have and never will intend to do, and she was born on 1st April 1885, marrying Winston in 1908. Possibly bitter about her own moniker, she named two of her four children the unforgettable Randolph, and (my favorite), Marigold. Fantastic. She had known Winston for four years, but they grew apart before becoming re-acquainted at a dinner party, at which Churchill fell wholeheartedly in love with her it seems, and so they did not experience a long courtship before Winston sent a letter to Clementine's Mother, asking for her hand in marriage. I could bang on for ages in true 'teenager-girl' style about how romantic it all is, and the whole 'love-at-first-sight' thing, but (to be honest) I find that boring. And I don't do boring. I like my historical women ballsy. More Hermione Granger than Bella Swan. And that is exactly why I may be boring you now about Clementine. In the first world war, she organised canteens for munitions workers. After hearing Winston's policies snubbed whilst on holiday, she packed her bags and left, offended deeply. She then helped numerous charities throughout the war, all the while with her husband off in the afore-mentioned war rooms, deciding the fate of the country. That it what, to me, makes her a brilliant woman. Instead of 'languishing', as has so often been the fashion for women who's husbands are away, she did something. Some will argue not much, but she did something. So there you are. A rambling article about Clementine Churchill for you to feast on. I'll be back soon, with more about my beloved Winston. 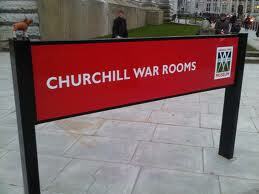 The Rooms From Which Churchill Led The War. It's the 1930's and war with Germany is heavily anticipated. After the use of bombs in the First World War, another bombing raid appears inevitable and military planners are sure that a target for German air raids would be the houses of parliament and Winston Churchill's offices. With that in mind, the search for somewhere suitable to use as a refuge for war ministers and staff, with potential places being thought of daily, although none seem suitable - either there is not enough room; or it is not 'central' enough to the rest of parliament; or quite simply, it is not deemed 'safe' enough. The search continues until, finally, somebody suggests the basement store rooms in the Office of Works and Board of Trade, which, although obviously needing a lot of work in order to make them suitable for any kind of work, seem perfect ; the location is central, a mere walk from the houses of parliament, and the buildings above seem unbelievably strong. The location for the Cabinet War Rooms has been found, and renovating can begin. I think it's probably fair enough to say that you don't need the divination prowess of Professor Trelawney from the 'Harry Potter' films to predict what this article may be about. I mean, even if your brain has become entirely frazzled from almost three weeks of daytime TV, rendering it useless and unable to infer anything from the above paragraph, you must be able to at least read. And therefore read the title, and know that this article is to be about Winston Churchill's War Rooms. Got it? Good. If i'm perfectly honest with you, I have been waiting for so long to write an article about my favorite ever historical figure, that I thought i'd start off easing myself into it, with an article about his war rooms, rather than the man himself. You see, some girls could not write a coherent article about Justin Bieber without having a nervous break down, and others would not be able to stop their hands shaking enough to write about One Direction. But not me. Nope, for me it's my good old Winston, the man who's voice I can't hear without omitting some kind of odd battle cry and feeling my heart flutter. Teenage girls and their obsessions, what can you say? So, with a long holiday ahead of me and a crazy but brilliant godmother in town, I decided to head to Churchill's war rooms, whist remembering to pack a brown paper bag in case of hyperventilation. This article is one of three Churchill - related articles to come, simply because I couldn't pack my feelings into just one article, so don't get too excited when you think it's over! The Cabinet War Rooms became fully operational on the 27th August 1939, one week before the outbreak of war (we Brits have always cut it fine! ), and although Churchill was to spend a lot of time within them, he was not fond of them at all, and only held meeting there when bombing threats made anything else suicidal. Even then, he had been known to take top War Ministers up to the roof of the War Rooms to watch the air raids, and often chose to brave the dangers outside than to remain cooped up. One of the main rooms in the Cabinet War Rooms was the (confusingly named) War Cabinet Room, where Churchill often had meetings to discuss various ideas that ministers may have had. Looking at the arms of the chair that Churchill sat on, it it evident that sometimes these discussions became heated, as they are very scratched. My audio guide confirmed that for me on the day, saying that Churchill often disagreed with his top ministers, and often pretended to be deaf in order to avoid answering difficult questions. However, (being my wonderful Winston) Churchill never overrode the consensus of opinion, even if it was very different to his own. After walking around the Rooms for a while (I shall never know exactly how long - time fly's when you're having fun), my aching legs brought to my attention the sheer size of the building; as my friend would say, 'it made the London Marathon look like a walk in the park'. But then I found the exhibition dramatically named 'Undercover', which pointed out quite clearly that the war rooms housed all types of administration the staff; the main roles being that of shorthand typists, clerks, and telephonists, as well as the military policemen and Royal Marine orderlies who guarded the rooms day and night. Surviving letters and accounts from the time shows that the work was extremely stressful and pressured, but all involved knew how important the work the were doing was, and it seems that lasting friendships were made.' Many a joke was shared there', apparently, including a toilet-roll race down the corridors one Christmas! In 1941 the already-massive War Rooms expanded to the 'Courtyard Rooms', which included Churchill's bedroom, his wife Clementines bedroom, and their small dining room, where they sometimes entertained guests. Although the rooms are seemingly extravagant in comparison to the other staff at the War Rooms, the threat of air raids was almost entirely gone by the time the that the rooms were ready, and as a result they were infrequently used. After walking through the 'Churchill War Museum' , we met the final room of the tour - the Map Room. Covered from floor to ceiling with - you guessed it- maps, this room was staffed all day, every day, with one officer from the Army, Royal Navy, and Royal Air Force from August 1939 to August 1945. The Map Room was the central 'hub' of War information, where the constantly-changing front lines were marked by lines of cotton held up by pins, and a summary of the war had to be delivered to the King, the Prime Minster, and several War Ministers by 8AM every morning. The maps show thousands of tiny pinpricks marking where naval convoys had been, and the front lines in Russia are shown from 1941 to the fall of Berlin, those in Java, Thailand and the Pacific shown as they were just before the end of the war. Just like the rest of the war rooms, everything is kept in the Map Room as it was on the 16th of August 1945 when the lights were finally extinguished, the officers picked up their coats and hats, and went home. There, wasn't that a lovely end to a slightly odd article? Thank you again for sticking with it for this long, and I hope you can contain your excitement for the next to Churchill Articles!